We’re lucky enough to visit some amazing places when carrying our clients around! 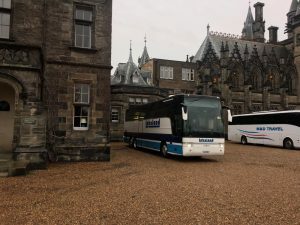 Yesterday we took Kirkham Grammar School 1st Elevens up to Edinburgh for a match against Fettes College. 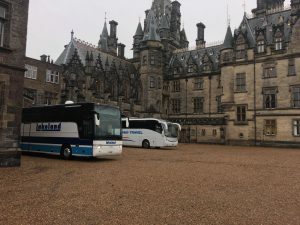 Fettes’ main building was designed by architect David Bryce (built 1863-9) blends the design of a Loire château with elements of the 19th century Scottish Baronial. According to the school’s website, the combination of styles and the site of the building led a modern architectural expert to praise it as “undeniably one of Scotland’s greatest buildings”.